Raynal & Co Cognac--Vintage 1800, 70 cl. 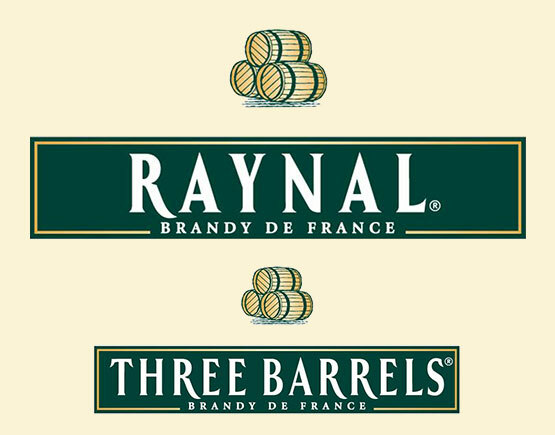 Raynal & Co is traced its founding to 1814 with Pinet Casillion company and a logo that showed three stacked barrels. 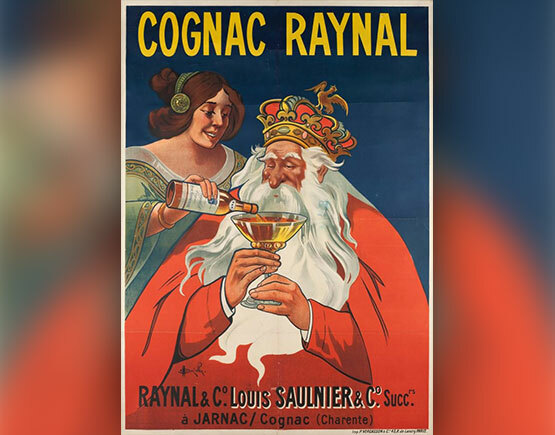 In 1840 Raynal was later founded in Jarnac of the Cognac region in France. The brandy became popular enough that the logo became more identifiable than the company so "Three Barrels Brandy" was marketed in Britain beginning in 1947. Raynal & Cie has been blending French "eaux-de-vie" of the most excellent quality. This more than 150-year-old tradition gives their cognacs a vibrant bouquet and silky smooth taste. Pellisson acquired the Raynal company in 1975. 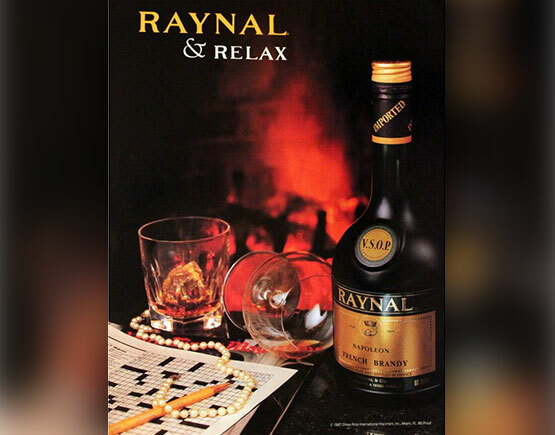 William Grant & Sons acquired Raynal & Co in October 2005. Three Barrels is a brand of non-appellation cognac by Raynal & Cie that has been claimed to be the best selling brandy in the United Kingdom with annual sales of over 2.5 million bottles. Despite these numbers, it does not appear in the 2015 list of the "World's ten largest brandy & Cognac brands" published by The Spirits Business. 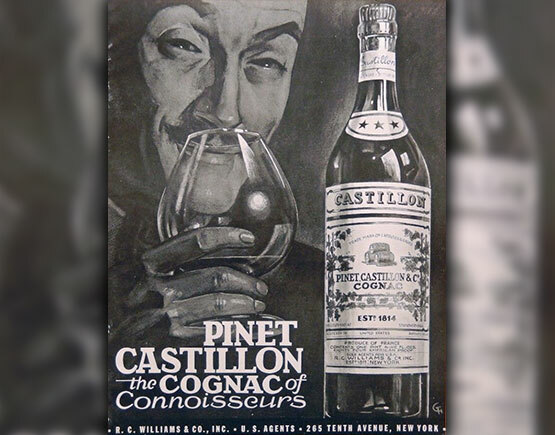 Although the company's location is still in the commune of Cognac, one of the rigorous set of clearly defined standards, the beverage does not meet the Appellation d'origine contrôlée (AOC) criteria to call itself a cognac. It just does not meet the 40% ABV requirement in contrast to their old vintages. Since the establishment of the brand, it is marketed with a logo depicting three stacked barrels, which, rumor has it, was the maximum number of barrels transportable on a sled pulled by huskies in Canada. While other experts claim that three barrels take its name from the exclusive use in its blend of cognacs sourced from the three famous French wine regions of Burgundy, Bordeaux, and Champagne, on the other hand, there are some people saying that three barrels reflect the maximum of barrels a smuggler could carry practicing his profession. 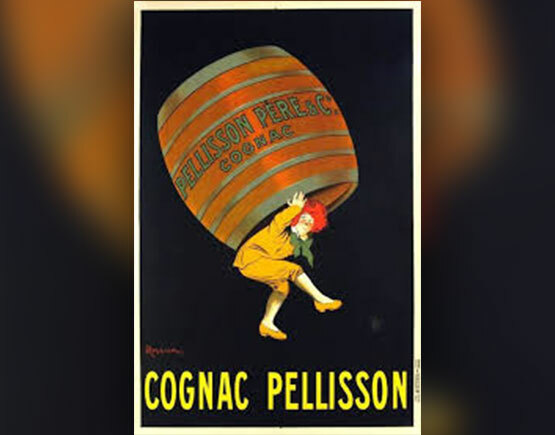 In 1907 the notable designer Leonetto Cappiello designed a famous poster for 'Cognac Pellisson' depicting a woman carrying a barrel on her back. In 2013 a rebranding exercise was carried out by Robson Dowry.